Brockton Tree Company is an experienced and knowledgeable New England tree service company assisting homeowners and property managers throughout the greater South Shore Massachusetts region. Managed by JRM Landscape, we provide a wide range of tree services fit for your home, corporate courtyard, or park. No job is too big or too small for Brockton Tree. We are fully stocked with equipment that can handle any size job. 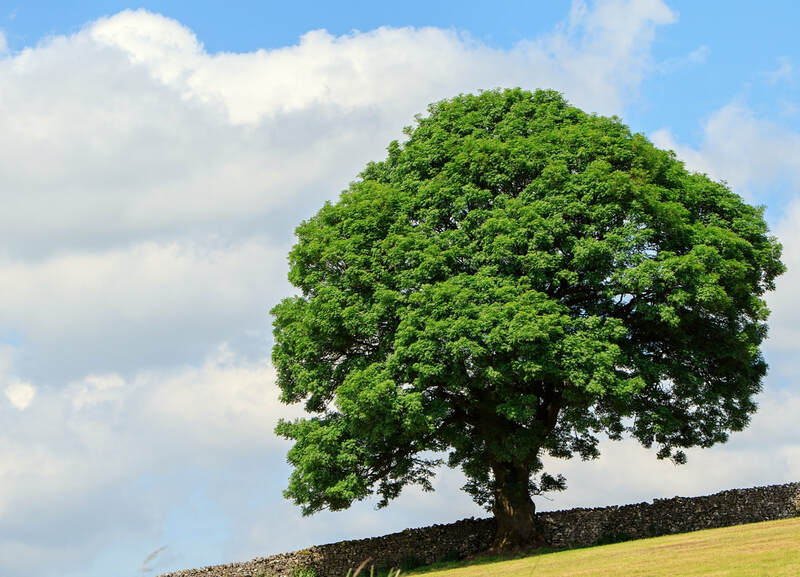 Big jobs or small, many people contact us for tree services to improve the appearance of the property. Our professional team is well-trained in performing every job with safety as a top priority. We also offer free Tree service estimates so don't hesitate to contact us if you are looking for a quality reliable and affordable tree service company near you. Within our range of services we offer tree removal and trimming, stump grinding and removal, and emergency tree services to ensure that any unsafe conditions on your property are assessed and corrected immediately. Brockton Tree Co. has developed a high reputation for professional tree services throughout Brockton Massachusetts and surrounding towns. Massachusetts is well-known and loved for its greenery. This green environment may grow rampant on its own but the risk of safety, insect infestation, and deterred growth requires a bit of human intervention. Although many homeowners try to take on these tasks themselves they are often overwhelmed by the task. The maintenance to keep the plant life in the area looking great and healthy however requires quite a bit more than most people suspect. It isn’t as simple as hacking away at a few branches, especially in the New England area. With the heavy snowfall and rains, soil or the structural integrity of the tree can quickly become compromised and these jobs can quickly become dangerous. Trust professionals with the proper tools and training to take care of your trees. We can ensure the integrity and health of your trees with proper maintenance. Through proper trimming you can help your trees and bushes stave off insect infestations, disease and bad weather. Using trimming we can direct and disperse the growth of main branches. If you are looking for tree removal near brockton ma, or tree removal south shore ma, give us a call! We offer full detailed explanations of what we provide on our services page. You can at any time request a quote for any of these services through our quote form or by calling in. Our team is quick to answer questions and fulfill quotes. There are only a few instances that require full tree removal. Our tree guys know how to identify these times and can make recommendations that are best for your property, safety and yard’s appearance. If you request a tree removal for any reason, know that our Tree Company is prepared for the job with the right equipment. In emergency situations, your tree may have sustained damage from lightning, storms, snowfall, or high winds. Failed trees or trees with severely weakened structure need removal. They can be a severe risk to your safety and the safety of others. Whenever a storm hits, take time to evaluate the trees on your property. If you’re not sure whether the damage to your tree is significant or not, call in a professional! A sick tree is another time when you might call for removal. Tree sickness can be difficult to identify with just the naked eye. You may want to look for branches with leaves that are off color to the season, brittle bark, or signs of insect infestation. Assessing the health of your tree can be quickly done by professionals. Full tree removal is recommended with some tree disease based on the likelihood of the sickness spreading and the structural integrity of the tree. If the tree poses a safety risk, removal may be recommended. If the tree is likely poisoning the ecosystem around it, call for tree removal! Our company was established and services Brockton Massachusetts. With a full team of experienced, knowledgeable, our trained staff know their trees! We are constantly on standby with the tools and equipment to get any job done right the first time. No tree or job is too big for our team. Although we take on big jobs all the time we keep our primary goal on safety. Brockton Tree Company always works with safety as our top priority and offers emergency tree services knowing what risks they pose to you and your property. From timely emergency tree services to standard trimming, every job is approached with a full assessment of any safety concerns first. We enjoy working with our clients to achieve the appearance they are looking for and promoting the health of their yard. Your concerns about safety or the health of your plants are our concerns too. If you have questions about the health of your trees, bushes, or hedges, never hesitate to speak with one of our arborists about your concerns or options. Our trained professionals are able to make quick assessments and offer recommendations that are focused on safety and aesthetic. We continue working hard to deliver top quality tree services throughout the South Shore Mass area. Working with our clients to ensure full satisfaction and peak safety conditions. Abington, Avon, Braintree, Bridgewater, Canton, East Bridgewater, Easton, Hanson, Holbrook, Norwood, Randolph, Rockland, South Easton, Stoughton, West Bridgewater, Whitman and more. If you’re in any of these areas our services are available for your convenience. Be sure to inform our professionals if you are in need of emergency tree services or have safety concerns. This alerts us that the job may require further safety assessment before getting to work. With safety as our number one concern, our professionals are trained to thoroughly inspect trees before getting to work to ensure safe conditions. Trees are vital to their immediate ecosystem as well as our ecosystem. Their root system maintains the health of the soil in the area and they contribute to the overall health of surrounding plant life. What tree care professionals do is help trees, shrubs, bushes, and hedges maintain peak health, grow sustainably and maintain their structure. Our professionals understand why trees should be trimmed. If too much is removed the tree isn’t given the opportunity to recover and it will never grow to its full potential. Additionally, if cuts made during pruning aren’t clean the damage can affect the direction of future growth. Arborists understand how the cleanliness of cuts and which branches are determined for removal can affect the ability of the tree to sustain its health after. Although removing branches sounds simple and many homeowners attempt to take on the job themselves, limb removal is dangerous. Using a professional tree service ensures that any trimming is beneficial and done safely. Pruning is one of the best preventative measures you can take to ensure the health of your plants. A healthy tree is a safe tree and with proper trimming, you can ensure your trees continued growth and safety. Part of why tree care is important is the visual appeal. Many homeowners and property managers take pride in the outward appearance of their property. This includes trimming back overgrown bushes and hedges as well as maintaining the optimal growth of trees. Trees with proper pruning often produce better fruit and flowering seasons. With Brockton Tree's wide range of services, you can be sure that the needs of your yard will be met quickly, safely and with the highest standard in mind. Contact your local tree service company for an estimate or quote on nearly any service. Don’t forget to ask about our free Tree Evaluation service. We offer a full range of tree removal and trimming services, as well as bush and hedge trimming, an landscaping services. Call today!